And for a long time – but no more – he would come here to write. It seemed then that all he needed was a bench and dry weather; cold or warm, it didn’t matter. The sky was the closest he got to the sea, a vast expanse of blue to shield him. From what? Everything! Everything he needed to be shielded from. A park and a pond and a bench. He’d never known such things in his life. Yes, his whole life! There was one other park; no – two. There were two parks. But in South Africa, where he grew up… and just before you could say none, there is one – St George’s Park. The public swimming baths were there, and he has memories of swimming galas and being house captain in primary school and holding the school record for 25m breaststroke, for Boys in Std 1, for a couple of years. But they didn’t need parks back there, back then, these contained and maintained green spaces to run wild in. They had the beach. 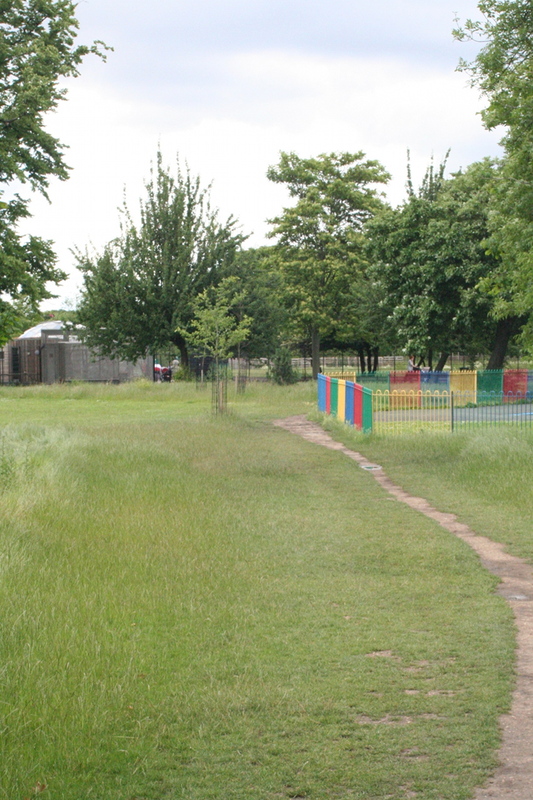 And there were playing fields at school, and the veld across the road from where he lived, and their own back garden. And the sea. The park is the city dwellers answer to the beach, and so, in summer – that rarest of seasons in this part of the world – people sprawl out of the grass at the first sign of sun, at the first hint of temperatures going beyond 15 degrees Celsius. And they lie there the way we used to lie on the beach, as if the heat were water and our skin – parched throats. Now, this is the gate he enters the Park from. He’s gone back to running. After a broken foot, then a neck injury, he quit the gym and went back to running. He used to love the gym, but, as often happens to him when he moves away from something or somewhere or someone, he rarely misses what has been left behind. Running is what he loves now, and when he runs in the Park, Whitehouse Gate is his point of entry. To the left of the Gate is the Pump H ouse. They’ve restored it and turned it into a cafe. For a long time it was shut, perhaps used for storage; I’m not sure. They’ve made it look a bit olde worlde, and it seems to be sparsely stocked, as if it’s still waiting for its true calling, like one day it might turn into the sushi bar the council had hoped it would become. Whoever’s working there always seems a bit bored. Very rarely do you see anyone buying anything, an ice lolly or a can of Coke. Maybe they sell posh ice cream. It’s a busy gate. Cyclists go in or out. 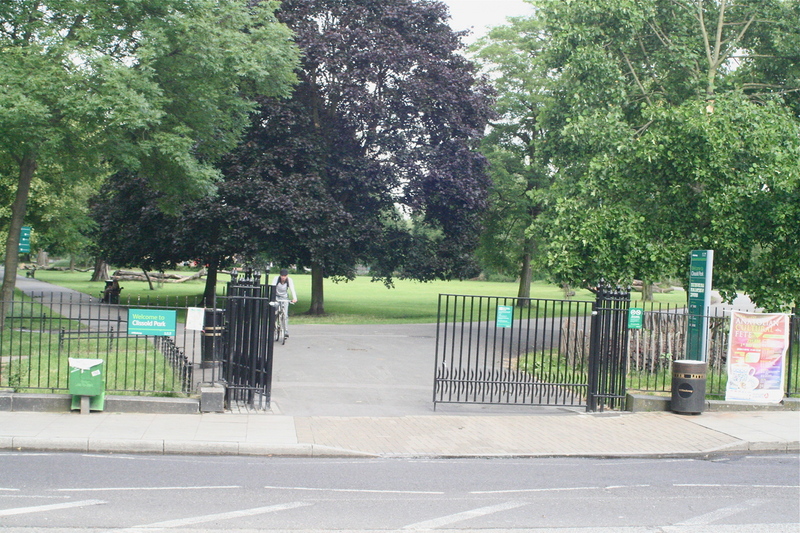 It feels like the entrance that links the two sides of the park, the Hackney side and the Islington side. Or maybe it just feels like that to me. For so many years the gates I’d enter the Park from would be the ones off Church Street, either Bridge Gate or Church Street Gate. Now I run from home and along Riversdale Road, across Green Lanes, and into the Park. Through the gates and left, up towards Robinson Crusoe Gate.